The resource most neglected by our churches is a resource not purchased or sold. This resource is neither planned nor programmed, promoted or possessed. It is a benefit that never runs dry or lacks power because of any flaw. The church’s unique asset is the infinite supply of the personal presence and power of the Holy Spirit. The person of the Spirit is available to glorify the Father, make Christ known, and renew the Body of Christ. The Holy Spirit convicts, empowers, revives, reveals, illuminates, bears fruit, and unifies. 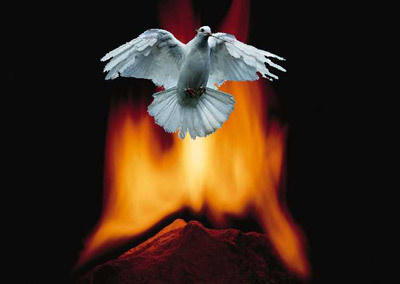 The Holy Spirit is the ultimate resource of the church. The resources of the Church are in “the supply of the Spirit.” The Spirit is more than the Minister of Consolation. He is Christ without the limitations of the flesh and the material world. He can reveal what Christ could not speak. He has resources of power greater than those Christ could use, and He makes possible greater works than His. He is the Spirit of God, the Spirit of Truth, the Spirit of Witness, the Spirit of Conviction, the Spirit of Power, the Spirit of Holiness, the Spirit of Life, the Spirit of Adoption, the Spirit of Help, the Spirit of Liberty, the Spirit of Wisdom, the Spirit of Revelation, the Spirit of Promise, the Spirit of Love, the Spirit of Meekness, the Spirit of Sound Mind, the Spirit of Grace, the Spirit of Glory, and the Spirit of Prophecy. It is for the Church to explore the resources of the Spirit. Samuel Chadwick, The Way of Pentecost (Fort Washington, PA: CLC, 2000), 28. This entry was posted in Holy Spirit, Samuel Chadwick and tagged Holy Spirit, Samuel Chadwick on June 12, 2011 by GlennDavis.